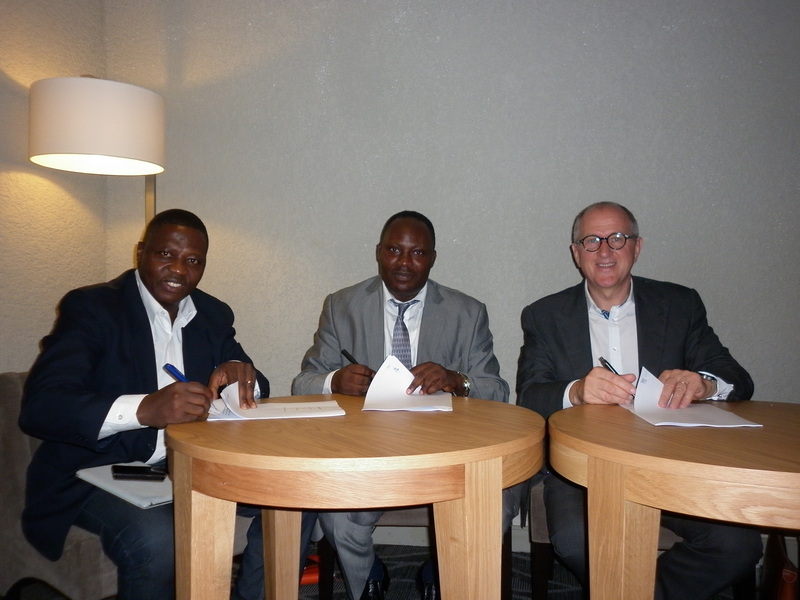 Aurora signs loan agreements with two microfinance companies in Freetown. 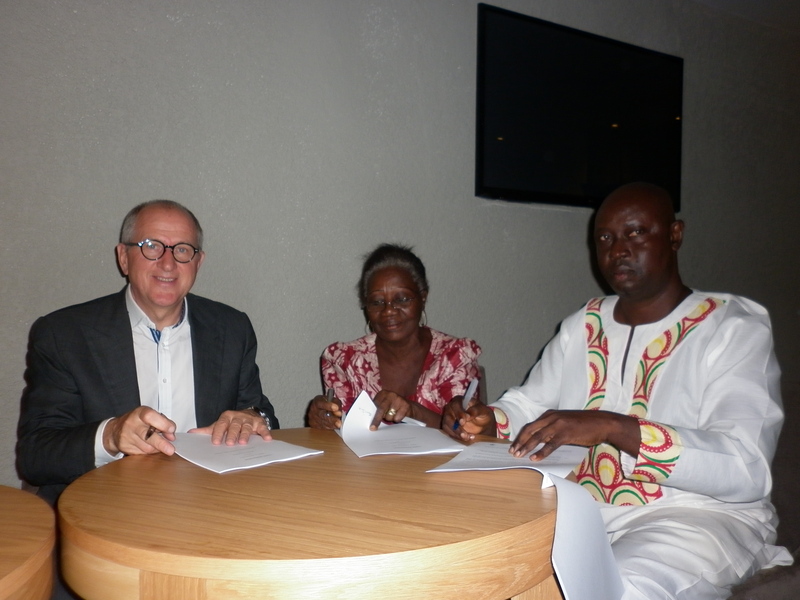 The Aurora Foundation on Monday 17th November 2014 signed loan agreements with two microfinance companies – Grassroot Gender Empowerment Movement (GGEM) and A Call to Business – operating in Sierra Leone. Photo of Olafur with his team and the microfinance institutions after signing the loan agreements. Chairperson of Aurora Ólafur Ólafsson said that the objective of the project is to support small businesses and promote sustainable economic development. He stated that both companies will be loaned $200,000 dollars each with nine percent interest rates, which they will in turn loan to sustainable small and medium enterprises nationwide. Olafur also expressed that he looks forward to seeing the impact of the support on the lives of beneficiaries of the loan facility. Managing Director of A Call to Business’ Microfinance David Kamara expressed gratitude to Aurora for coming to Sierra Lone at a time when most investors are pulling out. He said that his company is pleased about the initiative as they have been looking out for a sustainable intervention for the small and medium enterprise (SME) sector in Sierra Leone. He added that micro financing SMEs is a right course for providers of financial services as there are lots of opportunities available in that sector which need financial support. David guaranteed ‘A Call to Business’ commitment to ensuring that the funds provided by Aurora will be used for its intended purpose and yields the desired dividend. Executive Director GGEM Michael Kamara said that microfinance is vital for the economic development of any country as it improves the value chain of the commercial industry, improves the livelihood of people and creates a ripple effect. He assured Aurora that its support is in no way misplaced as the provided funds will be utilized in a way that will produce a maximum impact in the lives of entrepreneurs of small and medium sized business and improve the Sierra Leonean economy. The execution of the contract and quarterly follow-up will be monitored by AYANI a financial sector consultant in Sierra Leone on behalf of Aurora, to ensure that the funds are efficiently managed and create the desire impact in the lives of entrepreneurs, status of small and medium enterprises and the nation’s economy in general. It is worthy to note that one of the main challenges small and medium enterprises in Sierra Leone face is the access to financial services, especially loan facilities. Even when the facilities are available they are hardly affordable because of the high interest rates and accessibility requirements.